Style and substance strike a perfect balance in the bathroom faucet collections from American Standard. Our faucets are engineered to look beautiful and function flawlessly. Worry-free and built to last. •Electronic faucet with Selectronic® proximity operation. 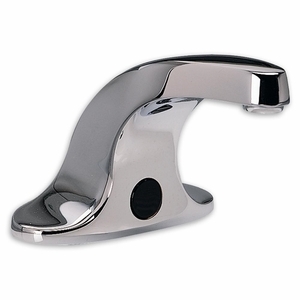 •Cast brass construction with 4” center set mounting. •Vandal Resistant. 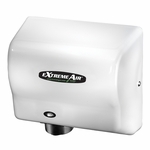 •Sensor & electronic controls are fully enclosed and water resistant. •Operates on DC (battery) power. •Factory-installed stainless steel flex hose with 3/8" compression connection, 15" length. •Integral in-line strainer prevents clogging. •Water pressure range from 20 to 125 psi. •Order deck plate, mixing valve and remote control separately. •Low Lead: Complies with CA AB1953, MD HB 372, and VT S152.